OMG OMG OMG OMG OMG!!!! There is so much about this that is so very awesome!!! First, not only did I lose the 3 lbs I was up on the scale last week, but I lost the .8 I was up from the week before. Then, on top of that, I lost an additional .6 of a pound!!! That’s a total of 5.4 pounds lost in a week. Well, technically in 6 days. See, I weighed myself yesterday because we were having a going away party for a coworker and I knew I would be having some foods that would cause me to retain water and all that jazz, so I thought it wise to weigh myself a day early and call it good. So I did and boy was I thrilled to see what the scale had to say! 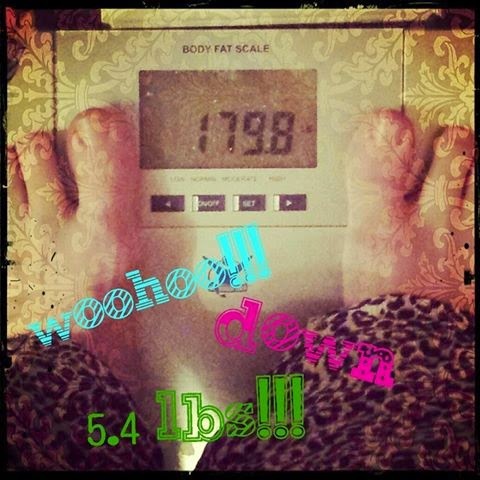 And, you know what this means…I am now officially LESS THAN 10 POUNDS away from my goal weight!!! Oh, and I’m in the 170’s again! That’s a number I haven’t seen in over a year! So very happy right now. Sometimes I like to list any non-scale victories I have. I would like to announce that I had one this week!! Someone at work went and got McDonald’s for lunch and I walked by and smelled the french fries and almost threw up because they smelled so GROSS to me!!! So awesome. Let’s go over this week’s exercise, shall we? • Saturday: after 5 days without running, I ran an amazing 7 mile run that was basically mostly progressive. 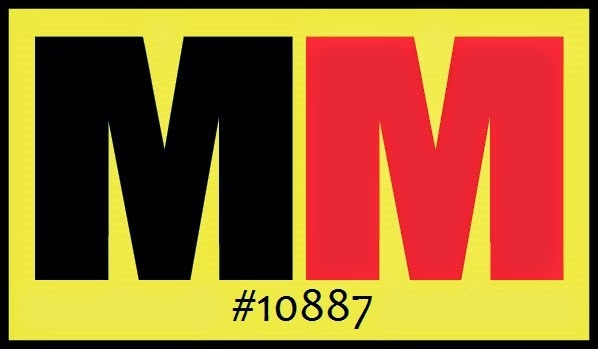 My mile split times were 10:26, 10:36, 10:08, 10:18, 9:51, 9:38, and 8:58. 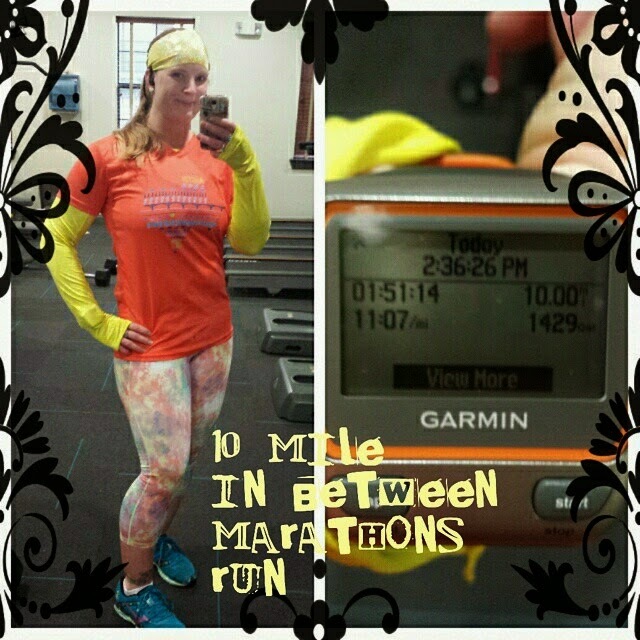 I am SUPER happy with this run, especially that last mile! It got me thinking. Maybe, after I run the Army Marathon tomorrow, maybe I will focus on getting a little faster and pushing myself to run faster paces during most of my runs. I want to run the Las Vegas Rock’n’Roll Marathon in November and they have a cut off of 5 hours for the marathon. Based on my Austin Marathon time of 4 hrs 56 mins, that is cutting it really close. So, I’d like to see if I can get my marathon time down to 4 hrs 40 mins, or dare I hope, 4 hrs 30 mins just so I’m more comfortable running that race and knowing I have more than enough time. • Sunday: ran 10 miles this day and it was good. It was cold out and I was little sore from Saturday’s fast paced 7 miles, so I ran a little slower, however not as slow as I was actually aiming for. An 11:07 overall average pace. I was shooting for around 11:30 overall average just because I am trying to “save my legs” for tomorrow’s marathon. • Monday: I was going to run 5 miles but when the alarm went off I was super sore from my weekend of running and I hadn’t slept well because of it (couldn’t get comfortable so I kept waking up). So, I chose this as a rest day. Turned out it was a good idea because when I left to go to work I almost fell down the stairs of my apartment building because there was ice on them. Not safe to run in those conditions. 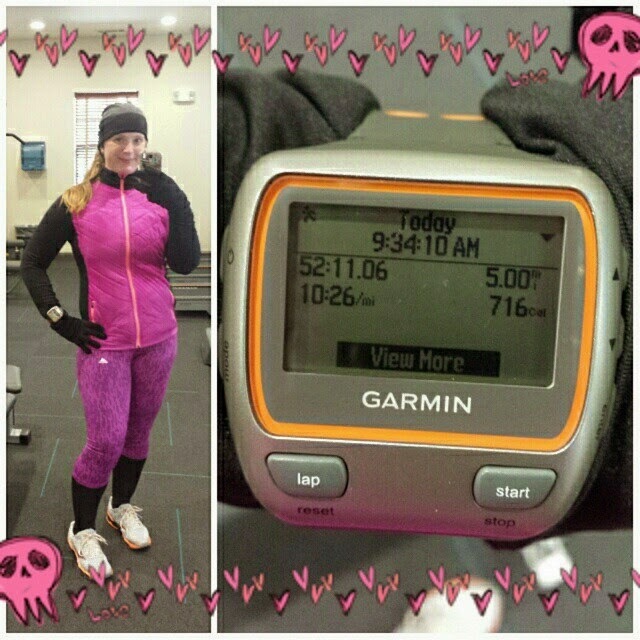 • Tuesday: it was 30° out, but that did not stop me from running my 5 miles! Heck, I’ve ran in colder. Also, 30° is nice and toasty compared to a lot of the country on this day. I was excited because a while back I went to Old Navy and they were having a big sale (up to 50% off on some stuff!) on their running gear and I bought a couple fleece jackets with thumbholes and I bought this jacket with a poofy front on it that resembles those poofy vests that some runners wear in really cold weather to keep their core warm which then increases circulation in the arms to keep them warm. I have to say, I love this jacket. I was nice and toasty during my 5 miles. Plus, it’s fashionable, don’t you agree? 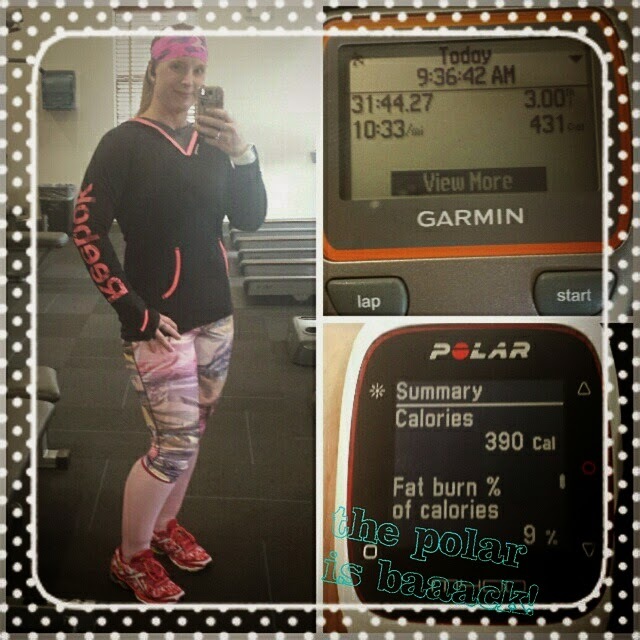 • Wednesday: first workout with my NEW Polar M400. The replacement, that is. It arrived Monday evening while I was at work, so UPS left it with my apt office (OMG! YAY! they usually like to leave my packages on my doorstep where they could be stolen), so I didn’t get it until Tuesday morning after my run and it had to charge still. And oh my was it good to have my M400 with me again when I went for a run. This was a really good short run. 3 miles at a fairly good pace. • Thursday: I worked the morning shift at work this day, so no workout. 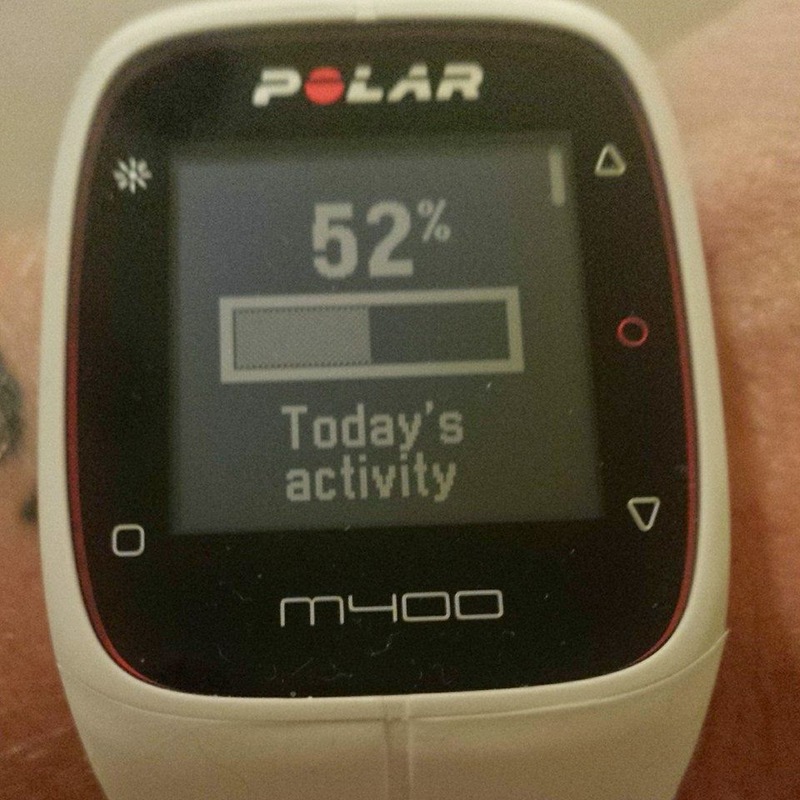 Just a snapshot of my M400 and the percentage of my activity goal for the day I was able to complete. I didn’t make it to the rowing machine. I just didn’t have it in me. I slept horribly the night before and was doing good to just stay awake. I know, not an excuse. The rowing machine would have gotten my blood pumping and woke me up, but oh well. Next time. • Friday: last run before the marathon. Just 3 miles. Also my last run for February. 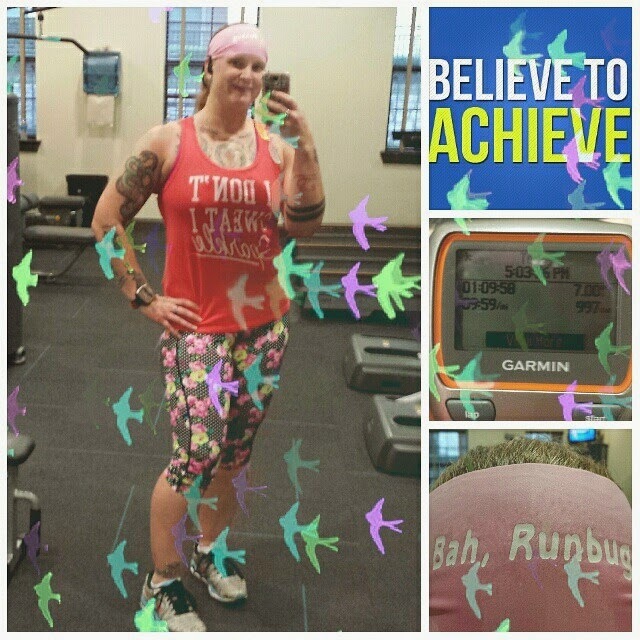 So, I totaled up my mileage for the month post-run and in 12 runs (ugh, that’s it?!?!?!) 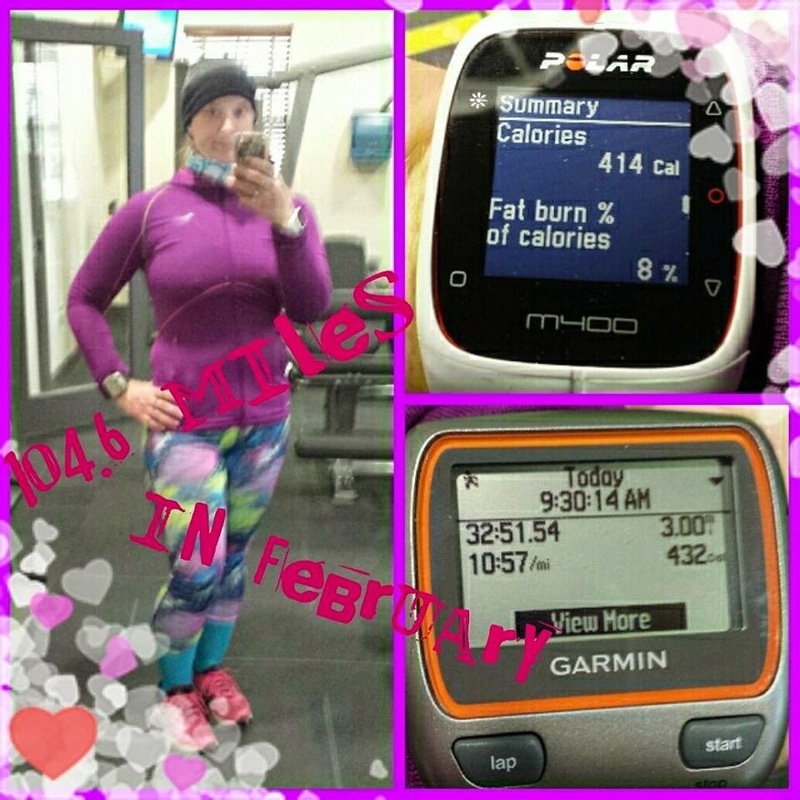 this month, I ran 104.6 miles. Not too shabby…also, not so great. My usual monthly mileage is around 130. 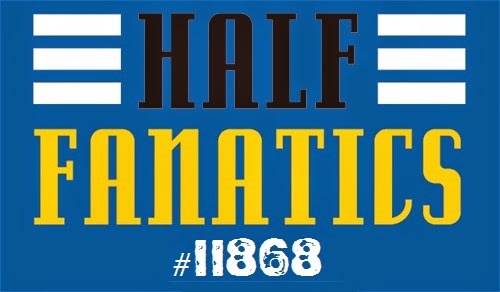 However, if February had been 29 instead of 28 days, I would have logged over 130 miles after the marathon tomorrow. But, it’s only 28 days this year, so no such luck. I just have to deal with only 104.6. BLAH! I’m not saying I’m not happy with it, because I am. My base goal is a minimum of 100 miles a month, so I definitely hit that and that makes me happy. I would like to announce that I registered for the San Antonio Rock’n’Roll Marathon that happens on December 6th this year. I’m toying with the idea of, if I have the money later this summer, wanting to register for the 10K the day before (and run it super easy if I do) to get the weekend challenge medal on top of the 10K medal and the marathon medal AND my heavy medal for running multiple Rock’n’Roll races in one year. We shall see. I will try to run a 10K the day before one of my super long runs during training to see how it feels and if it’s something I want to actually try and do.